The U.S. Department of Agriculture’s National Agricultural Statistics Service (NASS) is contacting producers for the January Sheep and Goats Survey. The nationwide survey collects data on sheep and goat inventories, lambs and kids born the previous year, and wool and mohair production. NASS will mail the questionnaires to those producers selected for the survey in late December. NASS interviewers will begin telephone and personal interviews on December 31 to ensure producers have an opportunity to respond. Please take a few minutes to complete the survey if you are selected. “Interest in sheep and goat data continues to grow with increased diversification in agriculture and consumer demands,” said Greg Thessen, Director of the NASS Upper Midwest Regional Field Office in Des Moines, IA. “The Sheep and Goat Survey gives producers the opportunity to report the latest information on conditions and trends in the industry.” In Iowa, NASS will contact about 900 operations to request their responses to the survey. 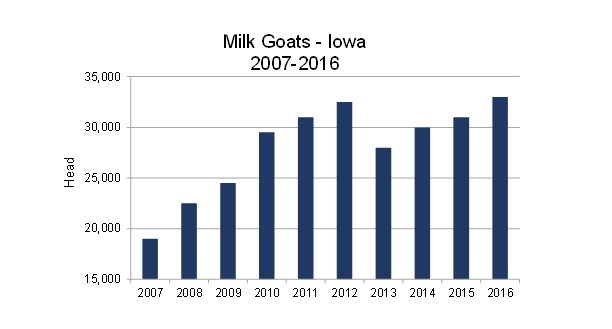 Iowa’s milk goat inventories have been on the rise, increasing 74 percent since 2007 when 19,000 head of milk goats were reported. 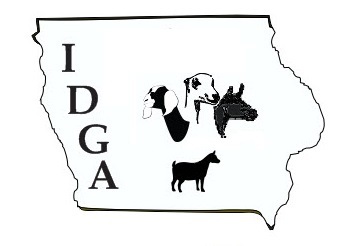 Iowa’s inventory of 33,000 head ranked 3rd in the U.S. for milk goats as of January 1, 2016, behind Wisconsin and California which ranked 1st and 2nd respectively. The information survey participants provide will be used for statistical purposes only. In accordance with the Confidential Information Provisions of Title V, Subtitle A, Public Law 107–347 and other applicable Federal laws, your responses will be kept confidential and will not be disclosed in identifiable form to anyone other than employees or agents. Individual participants in a NASS survey can rest assured that summary data will not be published in a way that would identify them or data for their operation. Results of the Sheep and Goats Survey will be published January 31, 2017. NASS reports are available online at www.nass.usda.gov. For more information, call the NASS Iowa Field Office at (800)772-0825.